CentOS Web Panel in short CWP is a free web hosting control panel designed easy management of (Dedicated & VPS) servers without of need to use ssh console. This works for RPM-based distributions only. To use this control panel you must have CentOS, RHEL or CloudLinux operating system on your server. CWP provides easy tool for migrating accounts from cPanel server to CWP with few clicks. 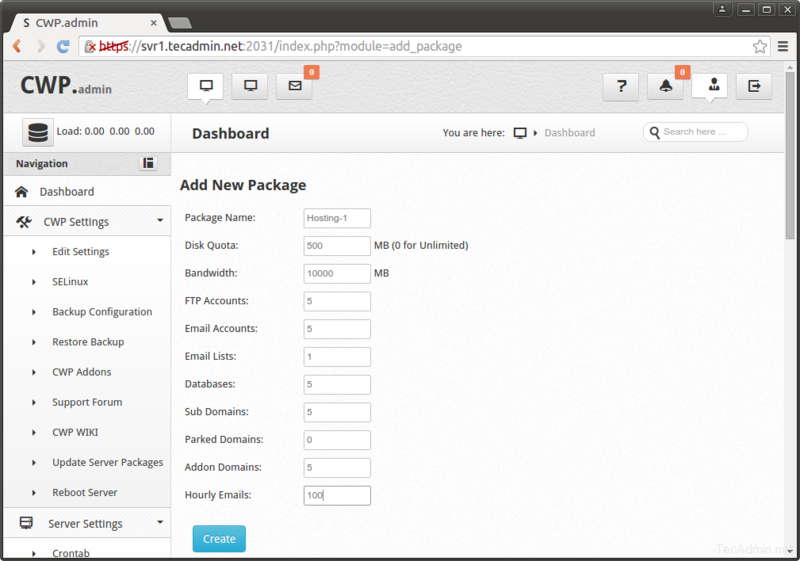 This article will help you to install CentOS Web Panel CentOS/RHEL & CloudLinux systems. To install CentOS Web Panel, your system must have a minimum of 512MB RAM for 32bit Server and 1024MB RAM for 64-bit Server. 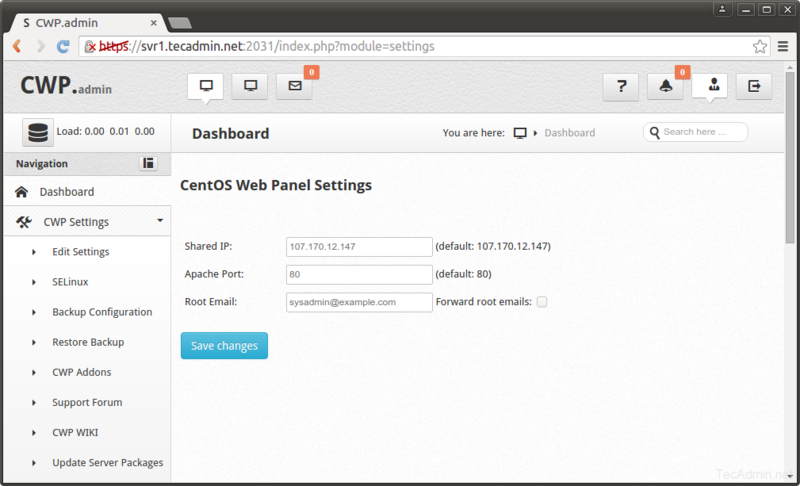 CentOS Web Panel supported CentOS 6, RedHat 6 or CloudLinux 6. Before starting installation of CWP, first install some required packages and update all packages on system with below commands. After completing update, reboot your server once. Now start the installation of CWP on your system. Download the installation script from CWP official site using the following command. Now, just execute the cwp-latest script to start the installation. This process may take long time as per you Internet speed and server configuration. At the end of installation you will get a message like below. At this stage, you have successfully installed CWP on your system. 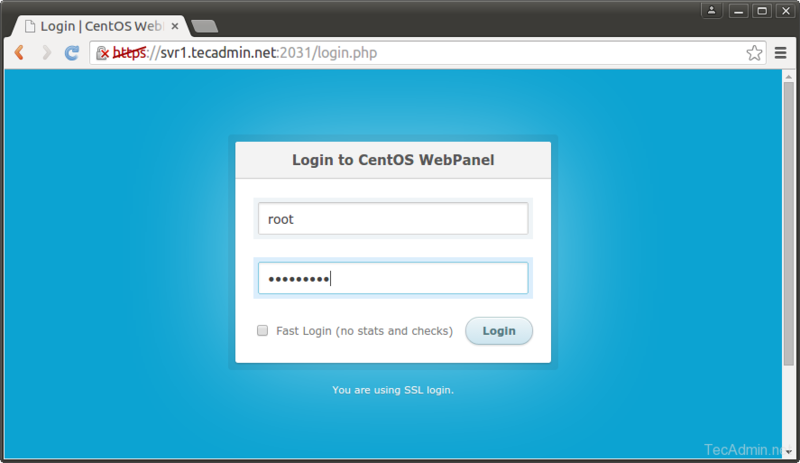 Now login to your CentOS web panel Admin GUI using one of following URLs. After login to CWP, Go to CWP Settings >> Edit Settings. 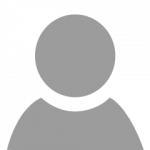 Configured shared IP must be a valid public IP configured on your server. This will be shared by all shared hosting accounts on the server. 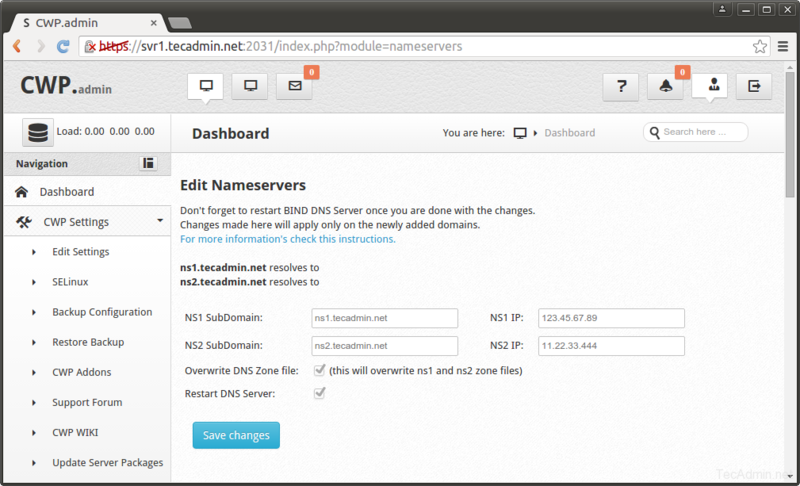 Now Go to DNS Functions >> Edit Nameservers IPs and configure your nameservers like below screen. CWP installer create a default packages for you to start. You can simply edit that package or create a new package as per your hosting requirement. To create new package got to Package >> Add a Package. You have all done! Let’s enjoy hosting with CentOS Web Panel. Thanks for writing this awesome post. You have highlighted all the key points and it seems great to me. I really enjoyed reading it. Although, It’s a long process but If some one is looking for a shorter process then you can go for managed aws cloud hosting provided by Cloudways and install ad manage the process with just one click. Thank you for this post. Simply very useful.